This is my second mod, ObsidianPlus. It adds and will be adding features related to obsidian. 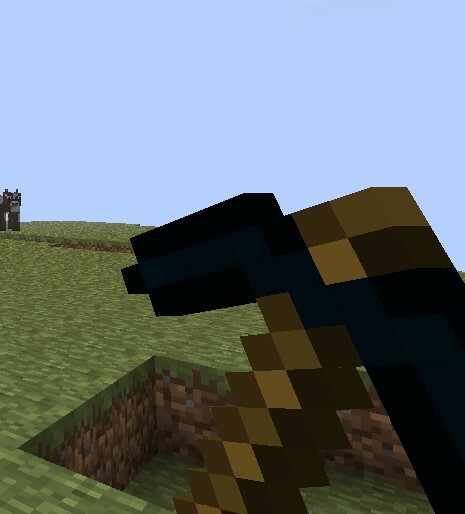 The current features are obsidian shards, tools and armor, you can mine obsidian with an iron pickaxe and pistons and sticky pistons push obsidian. Please read the README and Optional Install text documents if you download. You can choose which features you want to install. If you have textures, pictures, or videos of this mod please tell me! You must install ModLoader before installing this mod. Enjoy!!! Search ObsidianPlus on Youtube to see more videos! There will be an update for Minecraft 1.4.4 soon. how do u make a mod? Can u use mcpatcher to install Mod Loader? Cuz x ray works with it. C'mon make it for 1.2.3 Pweese. Hey does this INCLUDE modloader? well where can I get a working copy of mod loader for minecraft 1.8.1? Search Minecraft ModLoader and click a link that says Risugami's Mods on minecraftforum.net. Make a 4*4 square of shards in the crafting table. How strong/durable will the obsidian items be to their counterparts? Any mods that add items to Minecraft? What are the item IDs used by that mod? did you install risugamis modloader? if not than install it and then reinstall obsidian plus. I have a suggestion. I think that we should be able to make "obsidian shards" into "obsidian" and the other way around too. Thanks for the great mod. You can make obsidian shards into obsidian. The recipe is a 2*2 square of shards. In the next big update I will add it so you can make it the other way around too. Are the obsidian items more durable/effective than diamond? Hey how do you get your classes to not edit the renderplayer.java class? i have been searching and i want my mod to be completly modloader compatible. please tell me! I am truely sorry, I just read it over now and you are right; it sounds very rude. I was so excited that I found a fantastic obsidian mod, that I rushed to try to make it better, not even knowing half of what i was saying. I said to make it ingots (rudely) because then it would be harder to get obsidian tools and armor. I was not thinking at the time, so i didn't realize that didn't make sense at all. Later, I came up with a better idea, then I thought it was too late to change it so I left it alone. Anyway, my idea was intsead of dropping many shards from an obsidian block, maybe only have it drop 1. This would make it harder to get the rare tools (obsidian tools) and the rare armor (obsidian armor), and... also at the same time making it harder to go to the nether. (Now if this sounds rude again, I'm not trying to make it sound rude.) 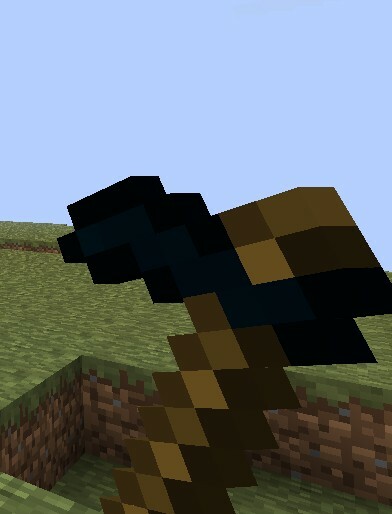 Also there is one more thing, the iron pickaxe. 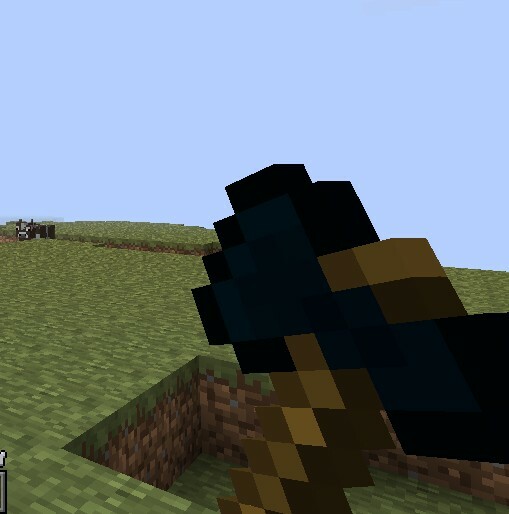 I said that you shouldn't be able to mine with an iron pickaxe because then you could just look for some obsidian. Then get some, so then you don't even have to acquire diamonds to get the better tools and armor. That are also better than diamonds. 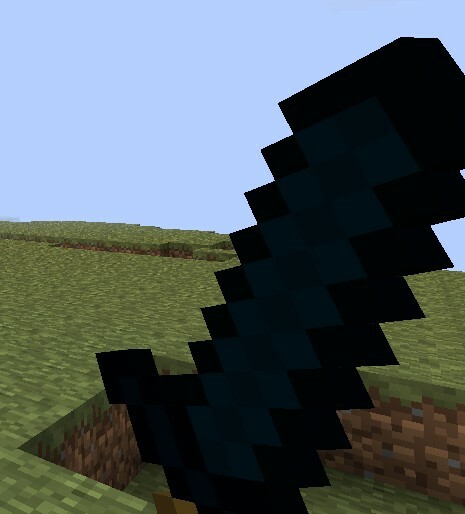 I really enjoy obsidian mods like these, but they don't have any like these. xD Again, sorry for being so rude. That was just terrible. It's ok. With the 1 shard idea you would need to mine 40 blocks of obsidian to go to the Nether. I will think about your ideas. If I could figure out how to do that I would. Intsead of shards, make it ingots. Smelt obsidian blocks in a furnace to get ingots. I also have some textures that you should put into the mod; they look much better. I know, i know, i did not make these. But they are from outdated, dead, mods. Those are some tool textures. Edit: There is no hoe texture i could get my hands on though. Also, Don't have the iron pickaxe be able to mine obsidian. I'm sorry Paulytools but I found your post to be extremely rude. 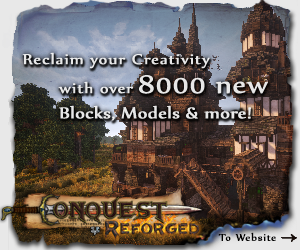 I don't think it is nice to come on here and start barking orders at the man who spend countless hours creating this mod. Plus you tell him the textures you found are better than his which is pretty insulting to say to someone. This is HIS mod. You are obviously free to make suggestions but to tell him his textures are worse and to COMMAND him to do things like "Don't have the iron pickaxe be able to mine obsidian" & "Make it ingots!" is ridiculous!!! You should say something like "I had a few ideas that I wanted to run past you! What if they were ingots instead of shards? And if you are looking for newer textures I found these outdated unused ones! Also would you consider going back to diamond pickaxe only for mining?" Imagine if you spent 2 months working on an art project (A painting perhaps). You finally finish and you show it to a group of people. A guy comes up and starts telling you how you should've done this and that it could've looked better and that you NEED to change it. I don't think anyone in that situation would be happy. Plus having Obsidian Ingots makes 0% sense. It's basically Volcanic Glass and making ingots from it really doesn't make sense (even in game). It's kind of like saying there should be a Diamond Ingot, doesn't make any sense. I am not trying to sound mean or anything but I just hate how people on this site treat modders like personal slaves and expect them to just obey commands blindly. I don't think obsidian ingots would make much sense, and I can't just take someone else's textures. You don't have to mine obsidian with an iron pickaxe if you don't want to. In real life, obsidian is very weak. Hi I would love to download this :D but does it work for the Aether mod? It should work. I don't think they edit the same files. Why are you using an iron pick to mine obsidian? Why not? In real life, obsidian is weak. First I want to say how much I enjoy using your mod. I've tried several obsidian mods, but they generally tend to be poorly thought out. But you mod actually feels appropriate along side the vanilla game content. 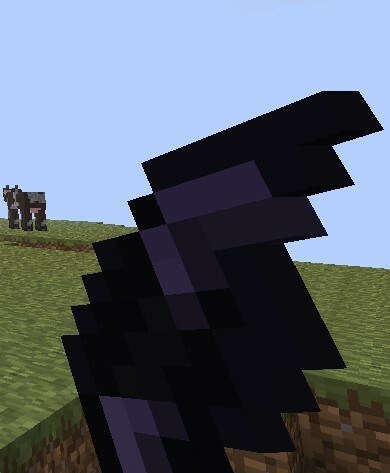 I was also wondering if you be interested in using this Obsidian armor texture I made. I made it for my own use with your ObsidianPlus mod, but if you want you are welcome to add to the mod it's self. If the armor isn't quite what you're looking for I would be happy the alter as well. Let me know what you think, and again good job on the great mod. I have a few ideas for you, since you asked. Hope you like the ideas!!! I think I might use some of these ideas. If I did use your ideas, you would get credit, except for the arrows idea which I have been thinking about from the start. Is it compatible with The Yogbox, and Armorstand? I don't know. It should be. how exactly to you backup your worlds? is there a software to do that? if so can you give me the link? You just copy your world so in case something happens to it you can use your copy. Thank you for reading the README and remember to backup your minecraft.jar too!